TODAY’S GAME:The Generals look to tie the series at 1-1 tonight, in game 2 of the 5-game set at Pringles Park with Huntsville. The Generals are 4-7 against the Stars this season. Huntsville is the only team in the league with a .500 or better record vs. Jackson. GENERALS RECAP: The Generals dropped the opener in the 2nd half Thursday at Pringles Park, in front of 3,071, 4-3. A 9th inning home run by former Tennessee Vol star Kentrail Davis spoiled a 3-run comeback by Jackson. 2B Stefen Romero went 2-for-4 in his Double-A debut, picking up a double in the process. LF Kalian Sams also had two hits in the game. 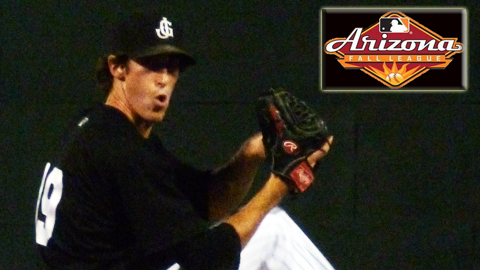 Generals’ starter LH Steve Garrison tossed 7.0 innings, allowing 9 hits and 3 earned runs while striking out five. Newly-promoted General RH Jonathan Arias was given the loss after allowing Davis’ homer in the ninth inning. 1B Eric Campbell scored all 3 of the Generals runs Thursday. team and will coach along side manager George Brett. RHP Taijuan Walker was selected to play for the U.S. squad in the 14th annual SiriusXM All-Star Futures Game to be played July 8 at Kauffman Stadium in Kansas City (2 p.m. PT/ESPN2, MLB Network Radio) as part of All-Star weekend. Walker is 4-3 with a 3.79 ERA (24 ER, 57.0 IP) in 12 starts with Jackson. He has limited opponents to a .249 (53×247) average, while walking 23 and striking out 59 in 57.0 innings. As one of the youngest players in the Southern League, he has allowed 2 or less earned runs in 9 of his 12 starts this season, including holding opponents scoreless in 3 starts. JACKSON, TENN. (JUNE 22, 2012) –The Seattle Mariners have made the following roster move that effects the Jackson Generals roster. Today LHP Brian Moran has been promoted to Triple-A Tacoma and INF Nate Tenbrink returns to the Generals roster after a long stint on the disabled list and concluding a rehab assignment with the AZL Mariners. Also, RHP Andrew Kittredge has been activated back to the Jackson roster, from Clinton. Current disabled General INF Rich Poythress will begin a rehab assignment with the AZL Mariners. MORAN, 23, joins fellow Generals Bobby LaFromboise, Danny Hultzen and Nick Franklin in Triple-A Tacoma. Moran has held opponents scoreless in 20 of 24 relief appearances this season. He is currently 1-2 with a 1.10 ERA (4 ER, 31.2 IP). He has limited opponents to a .248 average (30×121) with 6 walks and 29 strikeouts. The 23-year-old from Rye, NY is an alum of the University of North Carolina and was drafted by the Mariners in the 7th round, in 2009. TENBRINK, 25, rejoins Jackson after missing the first 71 games of the season on the disabled list due to a fractured right elbow. 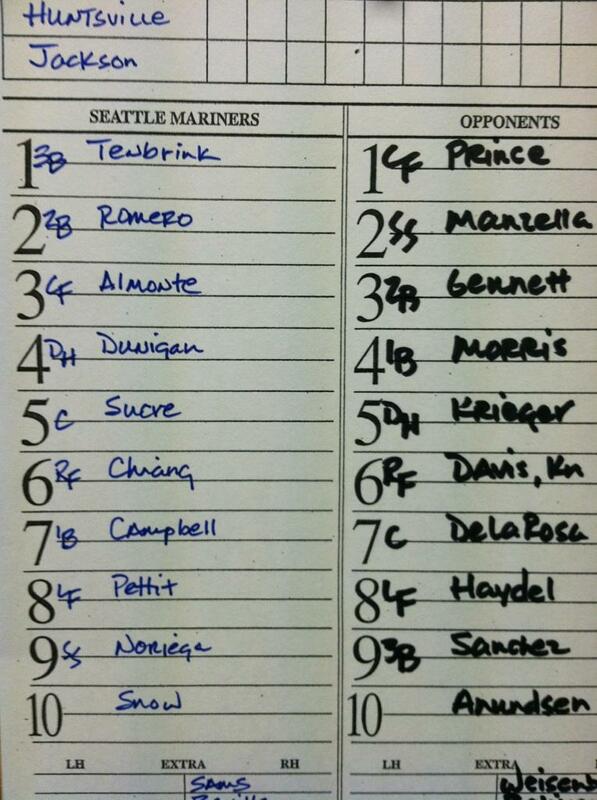 Tenbrink played in 1 game for the AZL Mariners and went 4-for-4 with a triple 2 run and 2 RBI against the AZL Padres Wednesday. 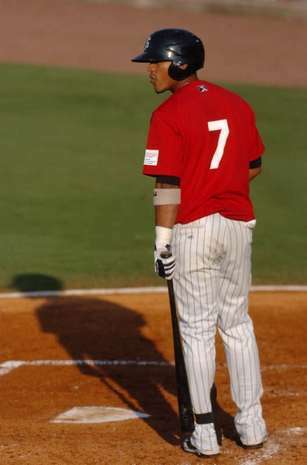 Tenbrink was limited to only 64 games with Jackson after being placed on the DL on June 30th. Last season he batted .218, with 6 home runs and 25 RBI. 2010 was a breakout season for the former Kansas State Wildcat as he led all Mariners farmhands with 26 stolen bases, while finishing 6th with a .318 average (130×409) combined between A and AA…began season with High Desert, hitting safely in 36 of 44 games. The Olathe, KS native was the Mariners 7th round selection in the 2008 draft. KITTREDGE, 22, Two days after being sent back to Low-A Clinton, Kittredge returns to the Jackson roster. He appeared in just 1 game for the Generals allowing 1 run 1 hit in 1.1 innings pitched last Friday against Chattanooga. With Clinton, he was 1-0, with a 1.23 ERA in 3 games.